You have probably heard the term “microenterprise” if you’ve worked in relief or development for very long. It is one of those catch-all terms that has a standard definition but means something a little different depending upon the culture and context in which it is used. It also has different definitions and applications in the field based upon an organization promoting its own brand of microenterprise. Oftentimes, it relates to the term “microfinance”. In the western world, microenterprise is usually defined as a small business employing less than 10 people with assets under a certain figure such as $2 million USD. In developing countries, microenterprise is more often defined as a small family businesses that allows the business activities of one or two persons to earn a living that helps support themselves or their families. Think of a person receiving training and a sewing machine to produce locally marketable clothing. Or think about a family being able to open a small grocery store selling basic goods out of a side room of their home. To be sure, there are the “larger” microenterprises in developing countries that help not only immediate families but expanded families and communities. But the majority of human enterprise in the developing world has to do with small, family enterprise such as selling vegetables in a market stall, hawking prepared food in public areas, transporting people/goods, or providing some niche service that allows enterprise to occur and small but sufficient income generated for the local entrepreneur. In the world of BGR, we engage mainly in this smaller form of microenterprise when it comes to working with poor communities. We do also engage in some larger microenterprise that would fall more in the SME (Small to Medium-sized Enterprises). 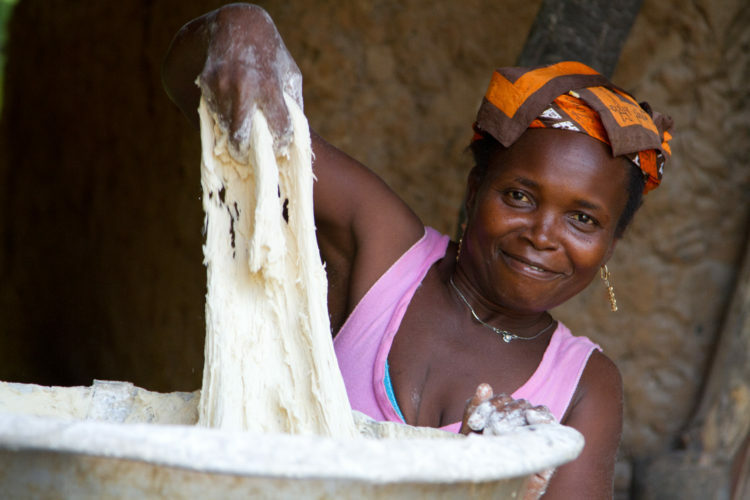 In some of the following blogs, I’ll share with you some examples of BGR microenterprise work.